Call us today (518) 588-1034! Below are just a few of the recent projects we've worked on with comments from the homeowners. You can view many more of our projects by visiting our Houzz page. I highly recommend working with Arthur Zobel and his Team. Once I met with Arthur, our kitchen project became much better scoped, designed, and integrated with all the major components. In terms of the project performance, schedule & cost, we are extremely pleased with the outcome! He was a pleasure to work with, and Arthur would be my first call on my next major kitchen project. - Doug D.
After interviewing three designers we decided that Arthur was the one for us. Arthur's style and creativity is unparalleled. He brought to life a vision which he worked through with us and came up with creative ideas and suggestions. Arthur gently guided us through the whole project. He brought in his knowledge and expertise in all facets of the kitchen design and has quite the eye for style and innovation. He brings some wonderful out-of-the-box thinking to the design to make the whole package seamless and flows. His light hearted and jovial working disposition makes the atmosphere fun and a pleasure to get through what can be a very stressful process. His attention to detail is only matched by his willingness to promptly return phone calls and emails to any questions or concerns that we had. We are so glad we chose Arthur for our kitchen design. A noteworthy addition to this review is the cabinet maker that Arthur had recommended to us- Patrick Magliocchino whose work was impeccable and well above our expectations as well. We are thrilled with our beautiful new kitchen !! Arthur Zobel is a master at designing kitchens and he took the time to plan out and to discuss all of our options and personal needs for our new kitchen. 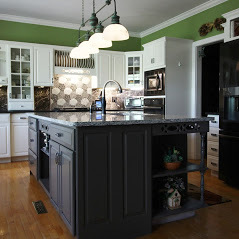 He and our meticulous contractor James G. Kane really made the kitchen perfect for us...... I love the way the cabinets are interesting with beautiful moldings, glass and lighting.. It was well worth it.. and Arthur could not have been any nicer and was always there to answer any and all of our questions.. It's a good feeling to be able to rely on an expert with so much experience... We highly recommend Arthur Zobel!! I found Arthur Zobel on Houzz. It was the best "find" ever. Arthur is very easy to work with, listened to what I wanted changed in a very small kitchen. He had the best ideas to make the kitchen what I had envisioned. Exactly what I needed. My new kitchen is beautiful. The ideas Arthur provided confirm his experience and talent. I cannot recommend Arthur any more sincerely that he would be the best choice for anyone who needs a new kitchen. Arthur designed a gorgeous new kitchen for us. I was so overwhelmed with all of the choices and he explained everything perfectly. We are absolutely thrilled with our kitchen and get so many compliments on it. Thank you Arthur! Would highly recommend working with Arthur Zobel! He is very professional, an expert in his field, and a true pleasure to work with! Designed an amazing kitchen utilizing quality materials and design. Most certainly met and exceeded our expectations in a timely and budgetary fashion-truly happy with his work! An outstanding individual. Arthur Zobel is awesome! To begin with, Arthur is a great listener. He listened to me describe my dream kitchen - and that is exactly what I have now. His attention to detail was exceptional. He is a craftsman is every sense of the word. He knows cabinetry inside out and backwards. This project started on time and finished on time. I could go on and on about specific wonderful details of my kitchen but there are far too many to mention. Thank you Arthur Zobel ... I sincerely give you both my highest recommendation. Arthur has done 3 kitchen remodelings for my family over 20 years. When I purchased my condo I didn't even think about comparison shopping and contacted Arthur. I left the design & layout to him & again have an eye-catching kitchen. Arthur lets you take the lead in picking tile, back splash etc to go with the cabinets and gives you his view on your picks. My only regret is that he is moving his business out of my area so he might not be able to do my next kitchen. I am very grateful to Arthur Zobel for making my kitchen renovation project a huge success! He listened to me and gave excellent suggestions. One suggestion was to rethink my appliances, which I did. I love my new range. Another was solving my storage problems. My kitchen layout is logical and beautiful. The design is well thought out. He gave suggestions on how to stay on budget without compromising the quality of my cabinets and the overall look. He is responsive to phone calls and emails and treats each client by giving his undivided attention. Have Arthur work with you on your next project and you will be very happy! Zobel and Co. recently assisted me in renovating my kitchen in the Adirondacks. It is a unique log cabin off the grid in the wilderness and it was my desire to maintain the integrity and the feel of this special place while having the advantages of a well organized working kitchen. Arthur Zobel fully understood and grasped the concept and made it happen. He is reliable, honest, and easy to work and communicate with. In the end, when slight changes were requested he tended to them immediately and without any fuss. He has a well seasoned eye and a great esthetic. I have no hesitation in hiring him again or referring him to others. I have known and worked with Arthur Zobel for many years. When it came time to design and purchase my own kitchen I naturally went to him. The result exceeded my expectations and left me very satisfied.